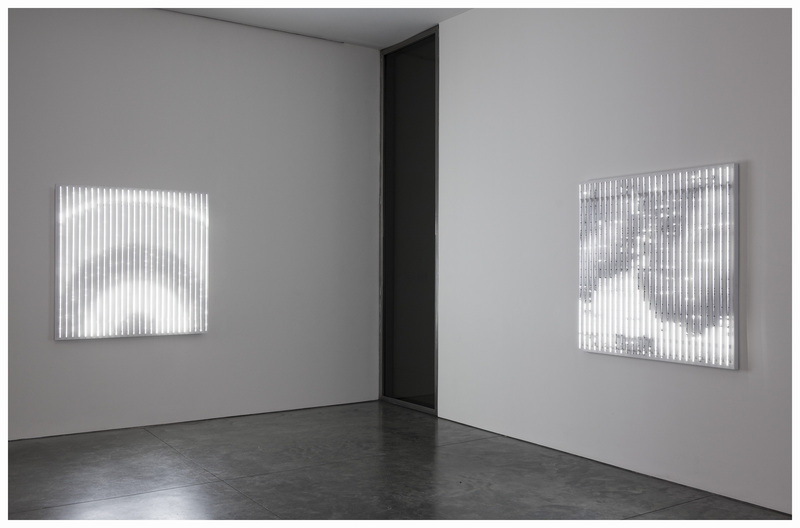 New York—Pace Gallery is pleased to present the gallery’s first solo exhibition by New York-based light artist Leo Villareal, featuring all new works. Blurring the lines between LED and projections, Villareal uses modern technology to create an ethereal experience for the viewer. According to the artist, “Art is a distillation of ideas into material through which artists communicate. For me, art has always served as a portal – something that takes the viewer to another place.” On view from May 4 through August 11, 2017, at 537 West 24th Street, Leo Villareal is the first presentation of new works by Villareal since his project Current was commissioned by the London-based Illuminated River Foundation to light the bridges of the River Thames. Together, the new works in this exhibition create an immersive experience that Villareal has programed to engage the viewer. Using his custom software, Villareal has created individual sequences for each work, composing abstract imagery in accord with its medium. Each work in the exhibition creates a mesmerizing effect, which encourages the viewer to stop and contemplate. Purposely providing very little contextual details, Villareal uses the ambiguity in his work to allow his audience to formulate their own interpretation. Villareal’s light-based sculptures seduce the viewer and make invisible cosmic forces visible. The artist constructs his pieces as arrays of light, and then develops their individual patterns of abstract movement that are never on a predictable loop, but develop in random order and with random durations. 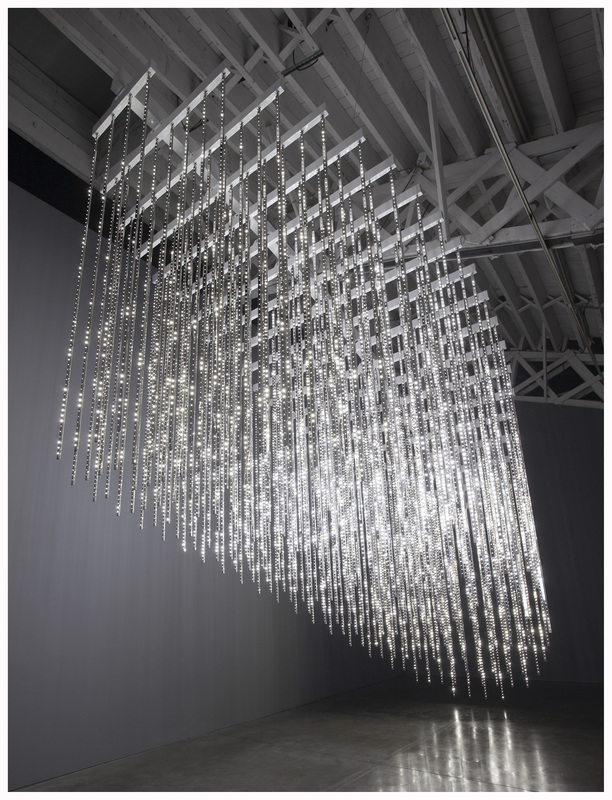 In Villareal’s new large volumetric piece, Ellipse a three-dimensional installation informed by the architecture of the gallery, creates a mesmerizing canopy of luminescent light. Together, the unique patterns, software and LEDs in Ellipse as well as the three individual Cloud Drawings play off one another to create a captivating effect. The exhibition will feature work in new media using OLED monitors and Villareal’s return to projected images. 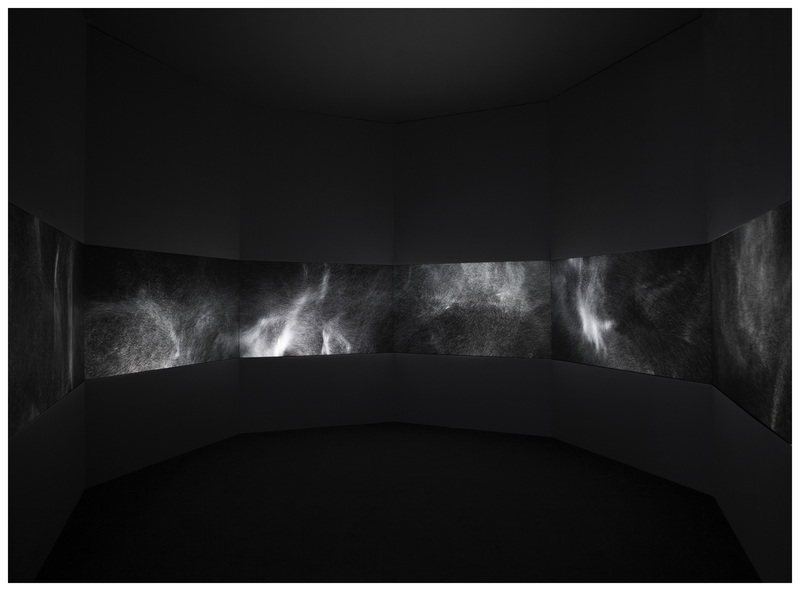 Similar to the Cloud Drawings, the Particle Fields are two-dimensional and produced by software that creates moving abstract geometric shapes that never repeat. Villareal’s use of this new media allows him to work in a higher resolution, giving the works a sense of depth, detail and motion. 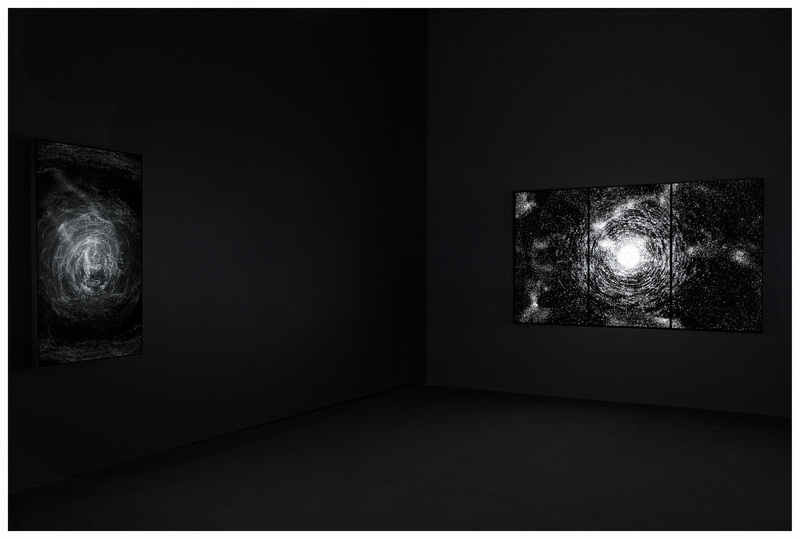 While the monitors act as a window, using projectors allows the artist to create a fully immersive experience. The site-specific installation, Particle Chamber 2, projects dynamic patterns of light in a space that viewers can physically enter and explore. Leo Villareal compels viewers to stop and contemplate the celestial imagery before them. Click here to see more of Leo Villareal work. Leo Villareal (b. 1967, Albuquerque, New Mexico) works with LED lights to create complex, rhythmic artworks for both gallery and public settings. He focuses on identifying the governing structures of systems, and is interested in base units such as pixels and binary code. His installations use custom, artist-created code, which constantly changes the frequency, intensity, and patterning of lights through sequencing. Villareal has created temporary and permanent light works and sculptures for public spaces and museums including the Morris and Sophie Chang Building, Massachusetts Institute of Technology, Cambridge, Massachusetts; Herbert F. Johnson Museum, Cornell University, Ithaca, New York; the National Gallery of Art, Washington, D.C; Rice University, Houston, Texas; and the San Francisco-Oakland Bay Bridge. Current, his winning submission for the 2016 Illuminated River International Design Competition, will use light and color in an integrated composition to enliven the bridges of the River Thames in London.